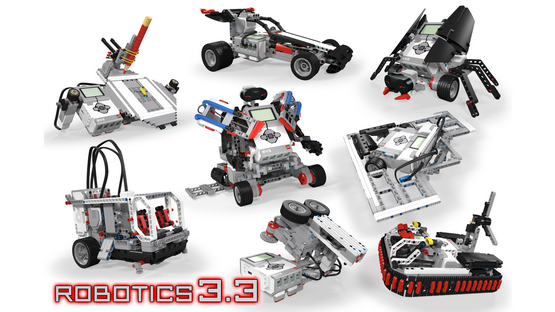 Robotics 3.3 is an introduction to the EV3 robots programming. 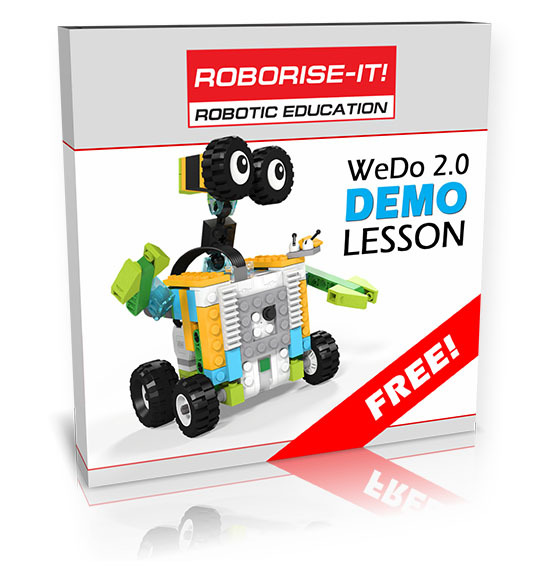 In this 8 lessons students will learn how to program basic movements of the robots. 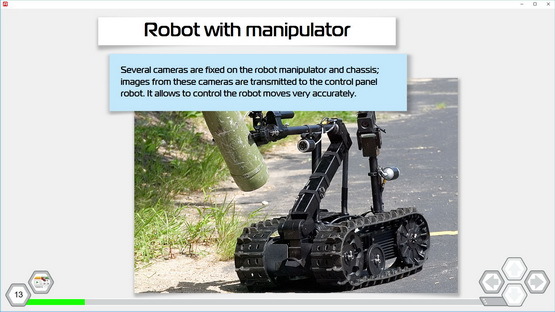 On the real-life examples we shows how robotics is used. 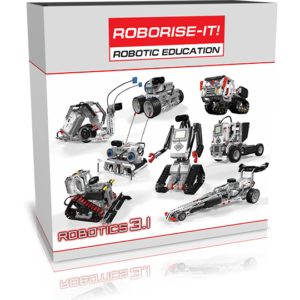 Students will program the pizza-delivery robot, the Hovercraft robot and even the robot for painting! 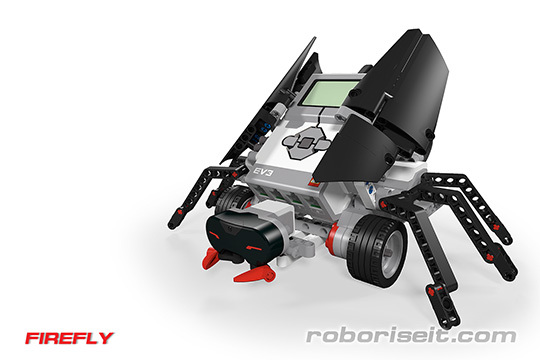 Introduce the programming of the EV3 robots with this cute Firefly robot! 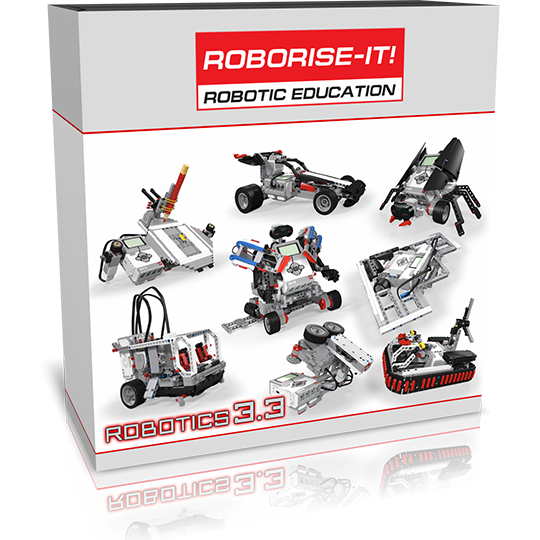 Students will build the robot and create first algorithms on this lesson. 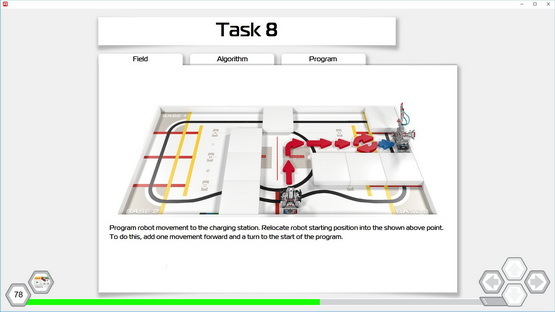 The simplest movement to the desired distance is not so easy task if students don't know how to calculate the settings of the program blocks. 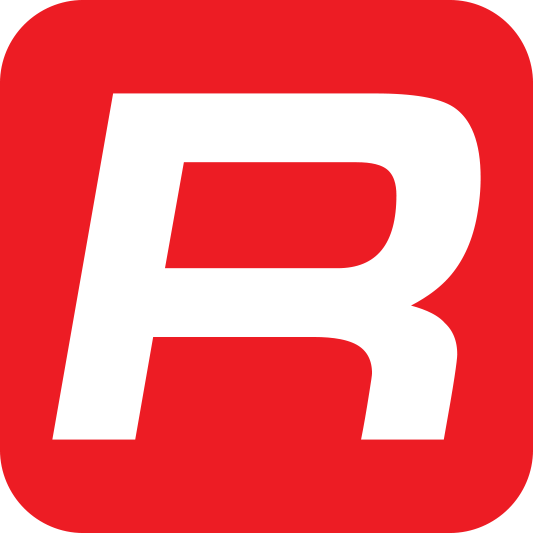 The conformity between the real distance of the movement and number of degrees in the settings of the program blocks is the main discussed problem of this lesson. 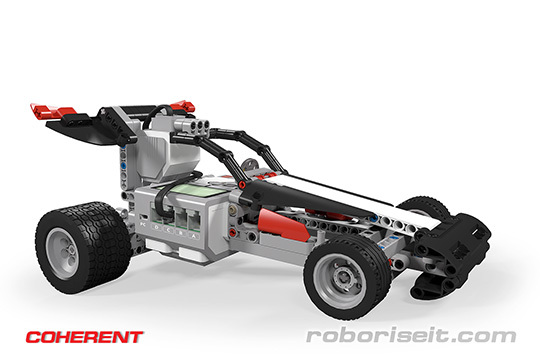 The next frequent task is to program the turns of the robot. 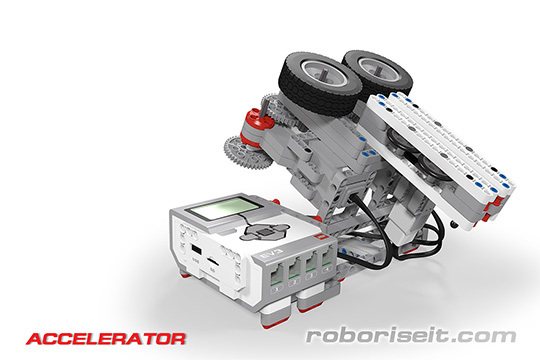 Why the programmed number of the degrees is not equal to the real turn of robot's body? 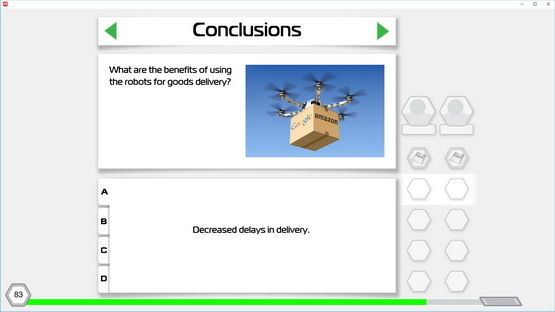 Your students will receive the answer on this lesson. 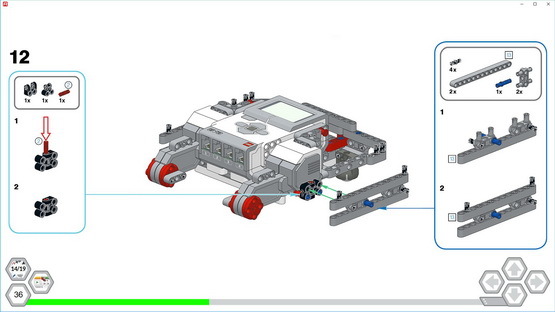 The Wait block is one of the most important program blocks in the EV3 Software. 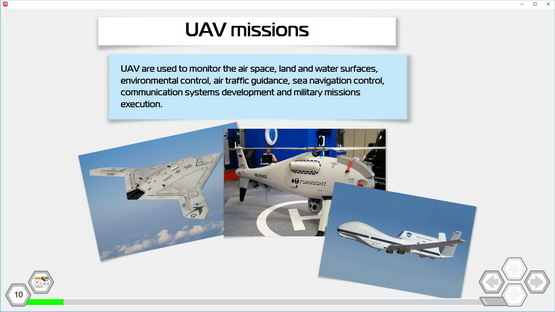 Your students will build and program the plane launcher. 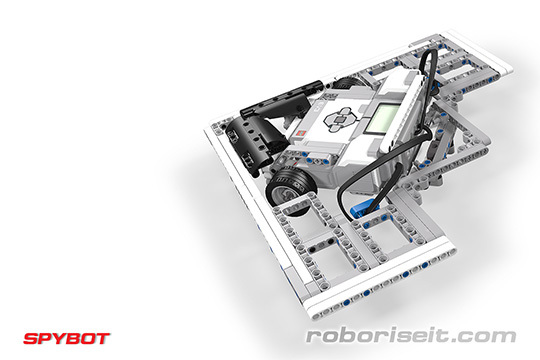 The smooth acceleration and reaction to the click on EV3 Brick buttons will be programmed. 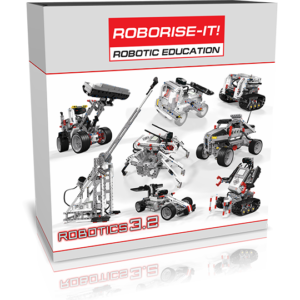 The knowledges about the calculation of the movements of the robot and precise turns will be used and consolidated in this lesson. 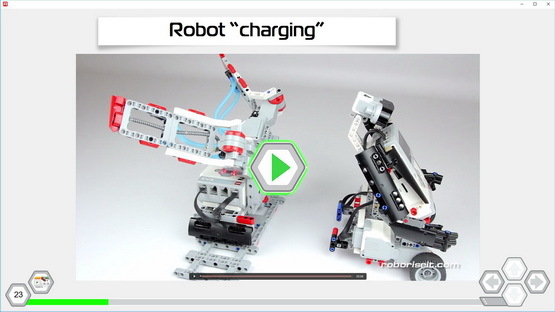 The robot builded by teacher makes this lesson more interactive. 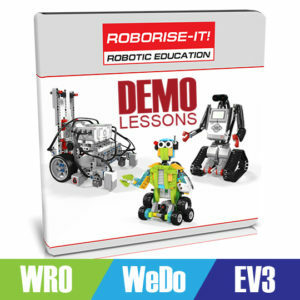 Children likes interaction between the robots! 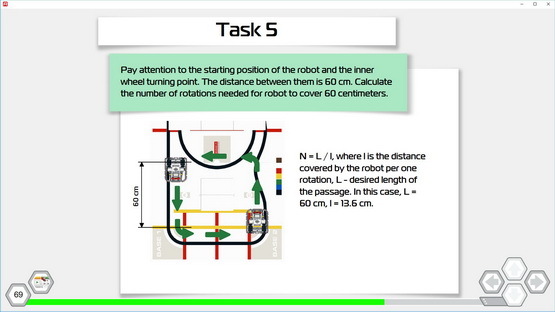 One more lesson for the consolidation of knowledge about robot's movement calculations. 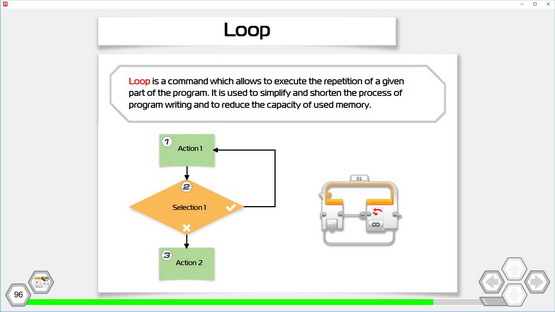 Also the movements by the arcs are discussed in this lesson. 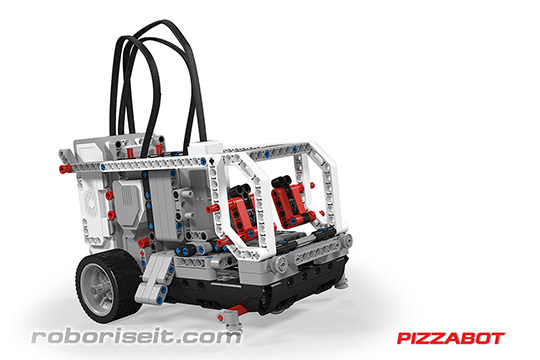 For interact with the real world the robots needs the manipulators .In this lesson your students will build and program the mobile robot with manipulator for the pizza delivery. 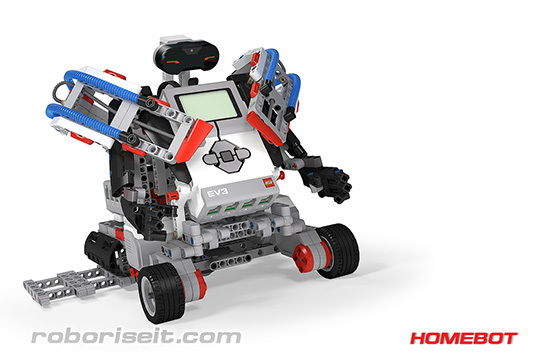 Also all knowledges about robot's movements will be used. 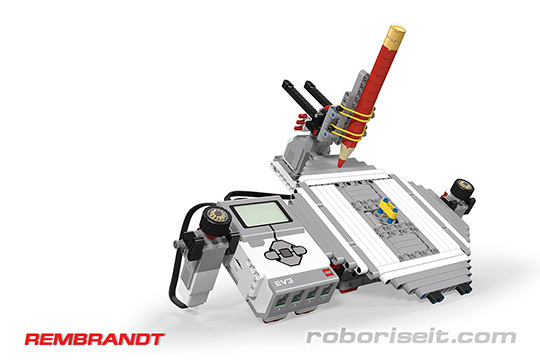 Robots may help to create some art. 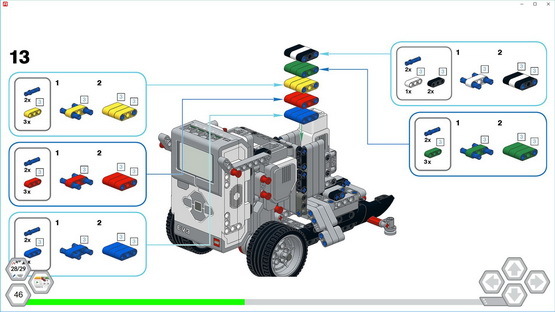 Students will build the robot for painting. 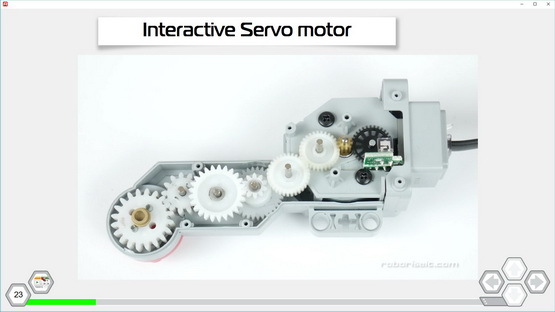 The knowledge about the internal structure of the servomotors' encoders and the data transfer between the program blocks will be used for creating this robot.